Maya Smith and Tamar Davis battled it out for a spot at Team Christina on The Voice Season 10 Knockout Rounds, Tuesday, March 29, 2016. 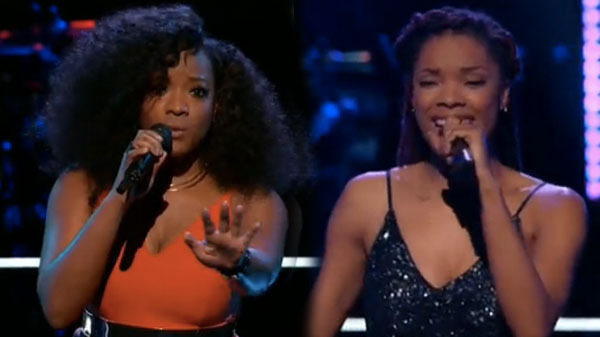 For their Knockout performance, Maya Smith sings “No One” by Alicia Keys while Tamar Davis performed her version of “Lay Me Down” by Sam Smith. “Maya, you have a certain essence when you are performing. Tamar, you didn’t just sing that song, you murdered it, you made it yours,” said Christina Aguilera. The winner of this knockout is Tamar Davis, she is moving to the Live Playoffs. No steal for Maya Smith. Next articleJeyrick Sigmaton ‘Carrot Man’ newest Boardwalk endorser?